A wet crawl space can mean many things for your home. You may experience higher levels of humidity throughout the home, softened floorboards above the crawl space, or a musty odor coming from the crawl space. All of these problems indicate a need for wet crawl space encapsulation in South Dakota. 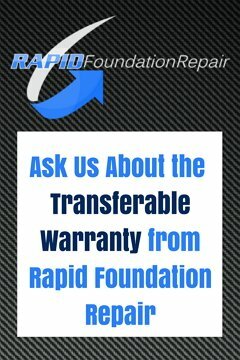 If you have reason to believe that you have a wet crawl space in need of encapsulation, contact Rapid Foundation Repair today. A shifting foundation: If your home’s foundation is shifting, it may also be cracking. The cracks caused by a settling foundation can allow in excess water after heavy rains. This accumulation occurs over time and can be difficult to notice. Poor drainage: If your home has an inadequate drainage system or sump pump set-up, water may be backing up in your basement or crawl space. Poorly placed downspouts: Downspouts placed too close to the home allow water to soak through the soil and into the basement or crawl space. Luckily for the customers of Rapid Foundation Repair, our highly trained staff can provide the best possible service for your wet crawl space encapsulation in South Dakota. When water comes into your crawl space, there are two main concerns: removing the water and making sure the water will not return after future storm seasons. 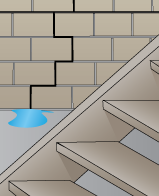 Because of these two concerns, Rapid offers two key repairs necessary for wet crawl spaces. First, a sump pump may be needed to remove any standing water. While many wet crawl spaces only have beads of moisture and not standing puddles, there are some cases that involve large amounts of water that must be removed quickly to prevent water stains and mold growth. 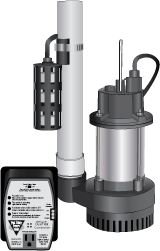 Rapid utilizes quality ECP sump pumps that can pump up to 5,000 gallons of water per hour. Next, crawl space encapsulation is needed to waterproof the space and prevent future water damage. 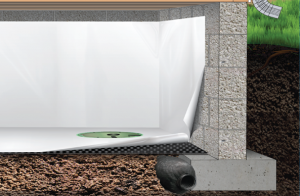 During encapsulation, a waterproof vapor barrier is applied to your crawl space walls. This vapor barrier will prevent water from coming in through any cracks you may have, and it will restore the proper humidity level to the room. If you believe that you may be in need of wet crawl space encapsulation in South Dakota, contact Rapid Foundation Repair today for more information. We are your premier crawl space encapsulation and foundation repair service provider.